Creative Expression | Listen Free on Castbox. A digital venue where artists have the freedom to share their life stories. It's the flagship podcast series for the Mississippi School of the Arts. In this inaugural episode of the Creative Expression podcast, we invited Clinnesha Sibley, the Literary Arts instructor at Mississippi School of the Arts (MSA), into the podcast studio. The conversation started with sharing her story of how she entered the arts scene as a child, her college years, the beginning of her career and the eventual transition to MSA. Clinnesha gave her insights of the literary world and offered some guidance. To end the show, we included a few clips of senior literary students reciting their work. We hope you enjoy the show.About the Literary Arts programLiterary Arts BlogspaceBooks by Clinnesha D. SibleyPatrick Brown (Host) and Clinnesha Sibley (Literary Instructor). Senior literary student works: Katie Westbrook, Amaria Sumler, Jackson Palmer and Madison Cox. 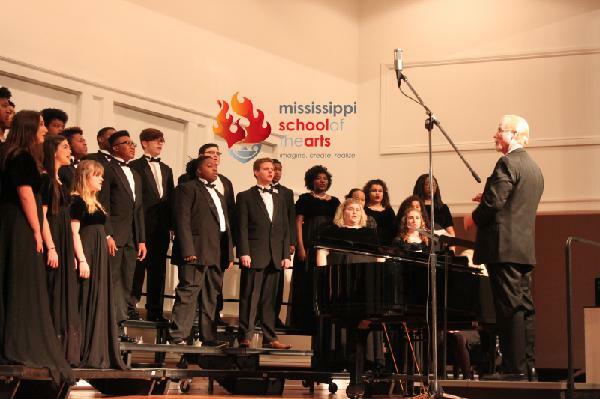 The Mississippi School of the Arts celebrates 15 years of existence. In Episode 2 of this Creative Expression podcast, Suzanne Hirsch (Executive Director) gives insight of MSA’s purpose and achievements. We go inside the walls of the historic campus to give potential students and parents some clues why Mississippi School of the Arts is an opportunity for many throughout our state.Apply to Mississippi School of the ArtsAvailable Programs of StudyMississippi School of the Arts Scores Second in State on ACTMississippi School of the Arts is a public, residential high school for eleventh and twelfth graders who are seeking advanced instruction in fine arts. More information about MSA is available on the official web site at www.msabrookhaven.org.Patrick Brown (Host), Suzanne Hirsch (Executive Director), digital music by Thomas Hart (Media Arts c/o 2018). The award-winning, Mississippi School of the Arts (MSA) Chorale presents the 2018 Fall Concert, featuring select pieces of music and holiday classics. 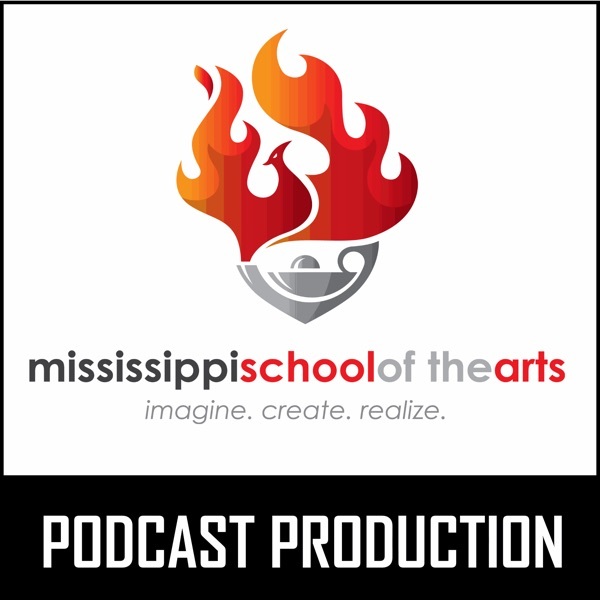 Listen to Episode 3 of the Creative Expression podcast as MSA chorale members bring to you a beautiful rendition of select vocal pieces and arrangements from several composing artists.This event was recorded live in concert on December 14th, 2018 in Mary Jane Lampton Auditorium concert hall, located on the campus of Mississippi School of the Arts.Star Spangled Banner (arr. Frank Asper)MSA Alma Mater (Patton Rice and Jeanne Lebow)Wait on the Lord (Rosephayne Powell)Earth Song (Frank Ticheli)The Word Was God (Rosephayne Powell)Sing Me to Heaven (Daniel Gawthorp)America the Beautiful (Buryl Red)Hodie! (John Leavitt)Infant Holy and Silent Night (Soloists: Avery Neyland and Asia Ellis) (arr. Marty Haugen)Carol of the Bells (Peter Wilhousky)Still, Still, Still (arr. Norman Luboff)Deck the Halls in 7/8 (arr. James McKelvy)Joy to the World (arr. Keith Christopher)Patton Rice (Director of Vocal Music), Cindy Hunter (Collaborative Accompanist). Lead-in vocal music (Ding, Dong Merrily on High) recorded during the 2016 MSA Chorale Fall Concert.2018 MSA Chorale members in concert: SOPRANO: Margaret Boyd, Maleah Briggs, Jamira Jackson, Jessica Luke, Savana Mars, Abby Grace Matthews, Rachel Salassi, Abi Thomas, Aleece Williams, Amy Windham, Brickleigh Wolfe, Grace Wolff; ALTO: Maney Darby, Asia Ellis, Lauren Hite, Emma Murphree, Avery Neyland, Skylar Noblin-Laminack, Grace Payton; TENOR: Camden Dixon, Jimmy Foster, Elijah Karriem, Cedrick Smith; BASS: Jacob Browning, Christian McCance, Ryan Rushing, Telvin Thomas, Jeremy Wilson. Teachers at Mississippi School of the Arts joined in a book study over the past several weeks. The book, entitled “The Everyday Work of Art,” introduces its readers to the real concept of art as a human being. Culminating the study was a workshop with the author of the book, Eric Booth. In this podcast, Suzanne Hirsch (executive director) engages in conversation to find out Eric’s thoughts on the work of art and everyday expression over the course of 22 years the book has been in existence. Eric also shares how teachers can engage the arts in their classroom by infusing the arts with academia.Eric Booth has performed in many plays on Broadway and around the country. He created the company Alert Publishing, analyzing research and trends in American lifestyles and publishing newsletters, books, and reports. He became a major figure in trend analysis, frequently quoted by the major media with interviews often appearing in The New York Times, The Wall Street Journal and elsewhere. He appeared as an expert on NBC News, Sunday Today, and several times on CNN. He was given a syndicated radio program on the Business Radio Network, and was a frequent speaker to business groups. 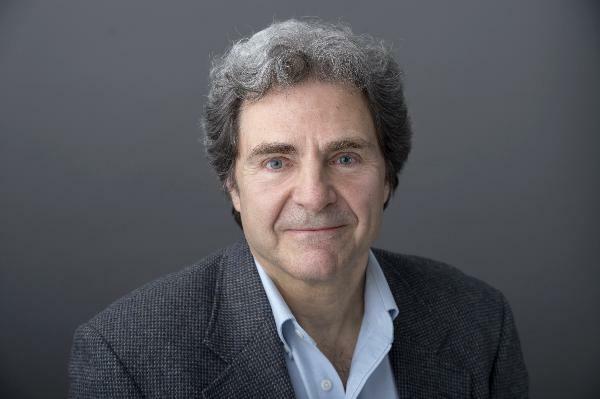 He sold his company in 1991 in order to work full time on passion projects in arts learning.He has published six books as an author and referred to as one of the nation’s most creative teachers and a father of the teaching artist profession. He is the first person to receive an honorary doctoral degree (New England Conservatory, 2012) for teaching artistry. He received Americans for the Arts 2015 Arts Education Leadership Award, the most prestigious award in U.S. arts education — the first teaching artist ever to receive this award. He was named in the “Top 50 Most Powerful and Influential Leaders in the Nonprofit Arts (USA) for 2015” in Barry’s Blog, the only teaching artist, and only freelancer on the list.Eric Booth web siteBooks on Amazon.comSuzanne Hirsch (host), Eric Booth (guest), instrumental music by Imani Skipwith (Literary c/o 2020). E4 – Post-Workshop Talk With Eric Booth, The Father of Teaching Artists. Alysia Burton Steele was invited to Mississippi School of the Arts as a 3-day artist-in-residence (Guest Artist Residency Program). During her stay, Steele interacted with students in the Literary department, Visual Arts photography class, and school-wide Diversity Club.Alysia is author of the book “Delta Jewels: In Search of My Grandmother’s Wisdom,” which is a collection of formal portraits and oral histories from elder African American church women, including civil rights activist Mrs. Myrlie Evers. The book was endorsed by Gloria Steinem and Roy Blount, Jr., to name a few, and highlights life during the Jim Crow era in Mississippi. In 2016, Mississippi Humanities Council named Steele the 2016 “Preserver of Mississippi Culture” award winner.Steele worked as an award-winning photojournalist and picture editor at newspapers for over 12 years, including The Atlanta Journal-Constitution and The Dallas Morning News, where she was part of the photo team that won the Pulitzer Prize in Breaking News for their Hurricane Katrina coverage. She served as one of the picture editors. Steele earned her bachelor’s degree in journalism at Indiana University of Pennsylvania, her master’s in photography from Ohio University and is currently a doctoral student at the University of Mississippi’s Arch Dalrymple III Department of History.She is currently working on her second book about the role of cotton in Mississippi with her husband Bobby D. Steele, Jr. She lives in Oxford, Mississippi.Grab a cup of coffee and join Clinnesha Sibley and Alysia Steele, as both accomplished authors converse together in this Creative Expression audio podcast episode. 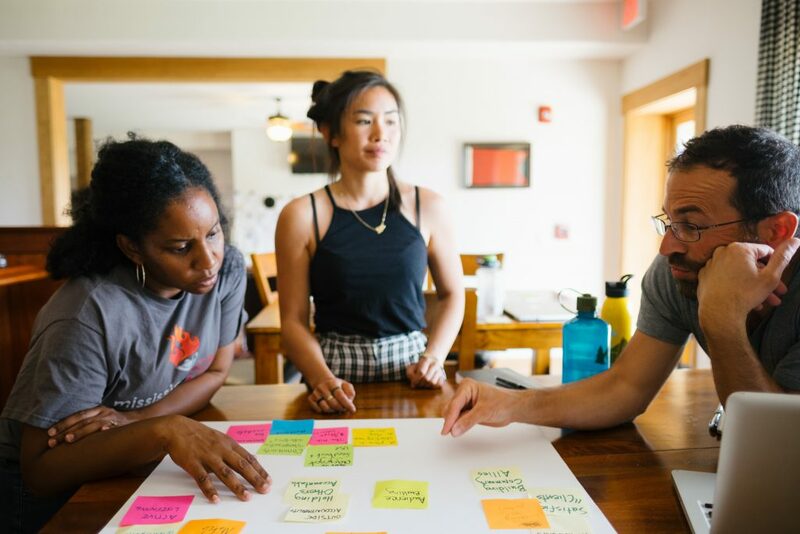 The pair discuss tips for high school artists, college preparation, and end with Delta Jewels, highlighting the importance of capturing oral histories. Hear how both artists gear up and unwind in each their own way.https://www.alysiaburton.com/TEDxJackson Talks – Completing HistoryMississippi Public Broadcasting – Conversations S5E1514Books by Steele on Amazon.comClinnesha Sibley (Host), Alysia Burton Steele (Guest), Music composition by Thomas Hart ’18.